to appear (2019). Carling, Gerd. 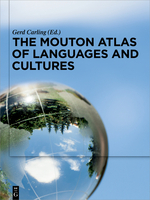 Mouton Atlas of Languages and Cultures. Vol. 1 Europe, Caucasus, West and South Asia. Berlin – New York: De Gruyter (750p.). to appear (2019). Carling, Gerd, Chundra Cathcart, and Erich Round. Reconstructing the origins of language families and variation. In: Oxford Handbook of Human Symbolic Variation. Oxford: Oxford University Press. 2019. Carling, Gerd, Sandra Cronhamn, Love Eriksen, Robert Farren, Niklas Johansson, Joost van de Weijer. The Cultural Lexicon of Indo-European in Europe: Quantifying Stability and Change. In: Guus Kroonen, James P. Mallory and Bernard Comrie (eds. ), Talking Neolithic: Proceedings of the workshop on Indo-European origins held at the Max Planck Institute for Evolutionary Anthropology, Leipzig, December 2-3, 2013. Journal of Indo-European Studies Monograph No.65, 39-68. 2018. Carling, Gerd, Filip Larsson, Chundra Cathcart, Niklas Johansson, Arthur Holmer, Erich Round, Rob Verhoeven. Diachronic Atlas of Comparative Linguistics (DiACL) – A Database for Ancient Language Typology. PLOS One 13(10). 2018. Cathcart, Chundra, Gerd Carling, Filip Larsson, Niklas Johansson, and Erich Round. Areal pressure in grammatical evolution: an Indo-European case study. Diachronica 35(1), 1-34. 2017. Carling, Gerd (ed.). DiACL - Diachronic Atlas of Comparative Linguistics Online. Lund University. Database with lexical and typological data from 500 languages of 17 families. https://diacl.ht.lu.se/ . 2017. Etymology and iconicity in onomatopoeia and sound symbolism. A Germanic case study. In Birgit Anette Olsen (ed. ): Etymology and the European Lexicon, Wiesbaden: Ludwig Reichert, 93-103. 2016. Language: the role of culture and environment in proto-vocabularies. In Sonesson, Göran (ed. ): Human Lifeworlds: The Cognitive Semiotics of Cultural Evolution. Peter Lang, 83-121. 2015. Niklas Johansson & Gerd Carling. The De-Iconization and Rebuilding of Iconicity in Spatial Deixis. Acta Linguistica Hafniensia 47.1, 4-32. DOI: 10.1080/03740463.2015.1006830. to appear (2019). Carling Gerd. A Dictionary and Thesaurus of Tocharian A. Complete Edition. In collaboration with Georges-Jean Pinault. Wiesbaden: Harrassowitz (610p.). to appear (2019). Carling, Gerd (ed.). CeDICT. Comprehensive e-Dictionary of Tocharian A. Lund University. By Gerd Carling in collaboration with Georges-Jean Pinault. 2018. Carling, Gerd. Tocharian Syntax. In: Jared Klein, Brian Joseph & Mathias Fritz (eds.) Comparative Indo-European Linguistics. An International Handbook of Language Comparison and the Reconstruction of Indo-European. HSK 41. Berlin – New York: De Gruyter, 1352-1364. 2013. Carling, Gerd (ed.). Tocharian A corpus (transcriptions, translations, references). Published via database CeTOM, Vienna University (ed. Melanie Malzahn). https://www.univie.ac.at/tocharian/ http://www.univie.ac.at/tocharian/. 2012. Carling, Gerd. Development of form and function in a case system with layers: Tocharian and Romani compared. Tocharian and Indo-European Studies 13, 57-76. 2009. 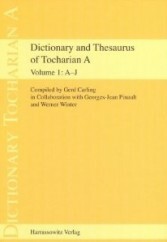 A Dictionary and Thesaurus of Tocharian A. Vol. 1 A-J. By Gerd Carling in Collaboration with Georges-Jean Pinault and Werner Winter. Wiesbaden: Harrassowitz (210p). Reviews: Journal of Asian History 45 (2011) (Jamsheed K. Choksky), Ural-Altaische Jahrbücher 24 (2010/2011) (Stefan Georg), Central Asiatic Journal 55 (2011) (Michael Knüppel), Kratylos 56 (2011) (M. Peyrot), Orientalistische Literaturzeitung 106 (2011) (Melanie Malzahn), Tocharian and Indo-European Studies 12 (2011) (Ilya Itkin), Religious Studies Review 36 (2010) (Stefan Baums). 2008. Carling, Gerd. Reconsidering the system: verbal categorization and the coding of valency in Tocharian. In: Jens Elmegård Rasmussen & Thomas Olander (eds.) Internal Reconstruction in Indo-European. Methods, results and problems. Section Papers from the XVIth International Conference for Historical Linguistics, University of Copenhagen 11th-15th August, 2003. Copenhagen: Museum Tusculanum Press, 49-63. 2007. Carling, Gerd. The vocabulary of Tocharian medical manuscripts. In: Vivienne Lo – Ronit Yoeli-Tlalim (ed.) Asian Medicine. Tradition and Modernity. Vol. 3 – No 2 2007. Leiden: Brill, 323-333. 2006. Carling, Gerd. Notes on the syntactic functions of the Tocharian clitic pronouns. In: Gerd Carling (ed.) Giš.hurgul-za-at-ta-ra. 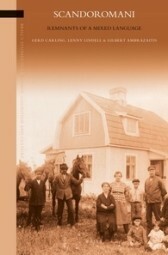 A Festschrift for Folke Josephson on the Occasion of his 70th Birthday. Göteborg: Meijerbergs Arkiv för Svensk Ordforskning 32, 39-49. 2005. Carling, Gerd. Proto-Tocharian, Common Tocharian, and Tocharian – on the value of linguistic connections in a reconstructed language. In: Jones-Bley, Karlene, Huld, Martin E., Volpe, Angela Vella, Dexter, Miriam Robbins Proceedings of the Sixteenth Annual UCLA Indo-European Conference. Journal of Indo-European Studies. Monograph Series 50, 47-70. 2004. Carling, Gerd. Tocharian B erkatse [A *arkäts] and related phenomena. In: Adam Hyllested, Anders Richardt Jørgensen, Jenny Larsson, Thomas Olander (eds.) Per Aspera ad Asteriscos. Studea Indogermanica in honorem Jens Elmegård Rasmussen. Innsbruck: Innsbrucker Beiträge zur Sprachwissenschaft nr. 112, 95-101. 2003. Carling, Gerd. Middle-passive and causative: valency-change in the Tocharian B -e-presents without initial palatalization. In: Georges-Jean Pinault, Brigitte Bauer (eds.) Language in Time and Space. A Festschrift for Werner Winter on the Occasion of his 80th Birthday. Berlin – New York: Mouton de Gruyter, 63-76. 2003. Carling, Gerd. New look at the Tocharian B medical manuscript IOL Toch 306 (Stein Ch.00316.a2) of the British Library – Oriental and India Office Collections. Historical linguistics 116, 75-95. 2003. Carling, Gerd. Fragments bilingues du Yogaśataka. Révision commentée de l’édition de Jean Filliozat. Tocharian and Indo-European Studies 10, 37-68. 2000. Carling, Gerd. 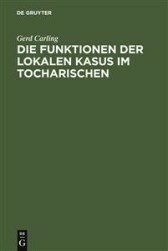 Die Funktionen der Lokalen Kasus im Tocharischen. Berlin - New York: Mouton de Gruyter. Reviews: Journal of the American Oriental Society 122.1 (2002) (H.C. Melchert), Incontri Linguistici 22 (2002) (R. Gusmani), Bulletin de la Société Linguistique XCVII:2 (2002) (G.-J. Pinault), General Linguistics 42 (2004) (Douglas Q. Adams), Kratylos 49 (2004) (Olav Hackstein). 1999. Carling, Gerd. The Tocharian inflected adverbials and adpositions in relation to the case system. Tocharian and Indo European Studies 8, 95-110. 1999. Carling, Gerd & Folke Josephson. PERLATIVE and INSTRUMENTAL in Sanskrit and Indo-European. In: Categorisation and Interpretation. Indological and comparative studies from an international Indological meeting at the Department of Comparative Philology, Göteborg University. Göteborg: Meijerbergs arkiv för svensk ordforskning 24, 77-105. 2016. Carling, Gerd, Mikael Demetri, Angelina Dimiter-Taikon, Lenny Lindell, Allan Schwartz. Romer. 500 år i Sverige. 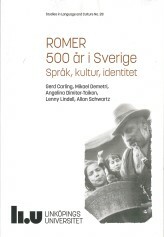 Språk, kultur och identitet. [Roma. 500 Years in Sweden. Language, Culture, and Identity]. 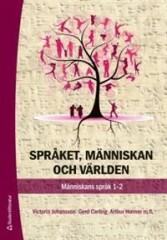 Linköping: Linköping University Press. 2014. Carling, Gerd, Lenny Lindell and Gilbert Ambrazaitis. 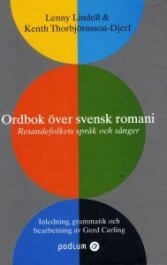 Scandoromani. Remnants of a Mixed Language. Leiden – Boston: Brill (Series Language, Cognition, and Culture) (295p.). Review: Romani Studies 25 (2015) (Yaron Matras). 2005. Carling, Gerd. 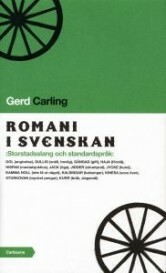 Romani i svenskan. Storstadsslang och standardspråk. Stockholm: Carlssons. 2017. Carling, Gerd, Sandra Cronhamn, Elis Jarl Skute, and Wary Kamaiurá. Deixis in narrative. A study of Kamiurá, a Tupí-Guaraní language of Upper Xingú, Brazil. In Revista Brasileira de Linguística Aplicada, 9(1), s. 13-48. 2013. Carling, Gerd, Love Eriksen, Arthur Holmer & Joost van de Weijer. Implementing the matrix model: the method of contrasting linguistic and archaeological data by means of GIS and cluster analysis of the Arawakan language family. In: Anju Saxena & Lars Borin (eds.) Comparing Approaches to Measuring Linguistic Differences. Berlin - New York: Mouton de Gruyter. to appear. Carling, Gerd (ed.). CeDICT. Comprehensive e-Dictionary of Tocharian A. Lund University. 2017. Carling, Gerd (ed.). DiACL - Diachronic Atlas of Comparative Linguistics Online. Lund University. Database with lexical and typological data from 500 languages of 17 families. https://diacl.ht.lu.se/, https://snd.gu.se/sv/catalogue/study/ext0269. 2013. Carling, Gerd (ed.). Tocharian A Corpus (transcriptions, translations, references). Published via database CeTOM, Vienna University (ed. Melanie Malzahn) (https://www.univie.ac.at/tocharian/).